We compare the top-notch car rental companies in Romania and offer the deals at the most competitive rates in the industry. It takes just three simple steps to book online with us: search, compare and reserve. Bucharest Otopeni Airport is the best way to travel in and about the city of Bucharest and that too in an affordable way as we offer the cheapest possible deals; moreover, since a hired car remains at one’s beck and call it also saves a lot of time. Our money-valued deals can be booked online in just three simple steps, however there is yet another and more time-saving way : through our 24/7 booking support team. They can be reached either via telephone or through live chat option available on our booking portal. We offer the best car rental deals for Bucharest Otopeni Airport, where one gets to choose from a fleet which covers almost all car categories including added option of one-way rental and choices when it comes to fuel and transmission preferences. Hence book with us and start your journey in a comfortable manner! Bucharest Otopeni Airport was this Romanian Airport’s official name till 2004, and though this name remains popular, now its official name is Bucharest Henri Coandă International Airport. It is Romania’s busiest airport and has been providing international as well as domestic flights through numerous airlines out of which, Blue Air, Ryanair, Wizz air and Tiriac Air etc. Operated by National Company Bucharest Airports SA, it was named after Henri Coandă; he was a Romanian flight pioneer- he not only gave Coandă-1910 but also was the force behind the discovery of Coandă effect of fluidics. Adriatica & Company, Banca Transilvania, Exchange BRD and QUICK Exchange, are the exchange offices that can be found scattered across OTP. Free internet connection is available for the passengers for use at all times. A variety of shops are available at OPT, from where one can buy things as per requirements; Route 96, refuel, Burger King and City Café etc are few of the shops that are located within the premises of the airport. Avis, Hertz, Europcar, SIXT and Enterprise-rent-a-car etc are the car rental suppliers that one can seek at OTP; they all provide car for instant hire in record time. 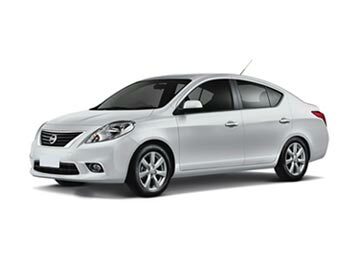 Goldcar, Sixt, Alamo, and Europcar are few of the well-known car suppliers that offer rental cars at Otopeni Airport. Aside them, Global Car Rental works in association with a plenty of well-known car suppliers in Romania and offers a wide range of car hire deals at all the popular locations at the lowest possible prices. 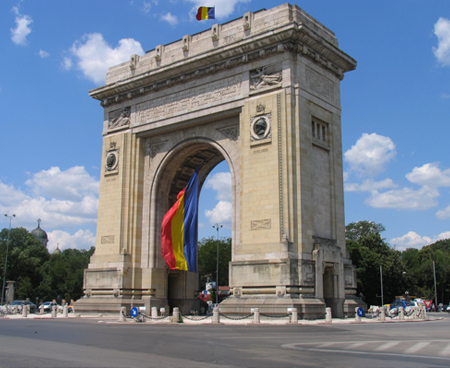 Across Romania, Global Car Rental has hundreds of pickup and drop off locations including every major airport. Below is a list of some of the most selected airport car rental locations in the country where you can get our car rental service. For more pick up destinations, use the booking form above and perform a search.